One really bad way of experiencing the gritty toughness of life on the docks is to pick a fight with some sailors now that Fleet Week is here. A much better alternative is to head to Hudson River Park's Pier 84 at 44th Street for wine and cheese tonight at 7:30, followed by Brooklyn's Brave New World Repertory Theatre's riverside reading of Budd Schulberg's classic story "On The Waterfront." I've seen other productions by Brave New World including To Kill A Mockingbird staged on the streets of Victorian Flatbush Brooklyn which was excellent so expect no less from their reading of On The Waterfront. Monday is Memorial Day and the final day of Fleet Week in New York City. Celebrate at the Intrepid Air and Sea Museum. On Roosevelt Island this weekend, in addition to the MP3 Experiment, there will be a 5K Run For Children's Rights to End Child Trafficking on Saturday morning. Also, the Farmers Market is open as usual on Saturday as is Gallery RIVAA, the Roosevelt Island Visual Arts Association which is exhibiting a celebration of the Queensboro Bridge Centennial. Another suggestion - RIOC has produced a great self guided tour map (PDF File) of Roosevelt Island for any visitor or resident looking to stroll the Island and learn something more about it. RIOC is not reporting any Tram advisories for the weekend. Check out some other ideas on what to do in New York City this weekend from the NY Times UrbanEye and Spare Times, Free NYC, NY Post Weekend Calendar and Newyorkology. 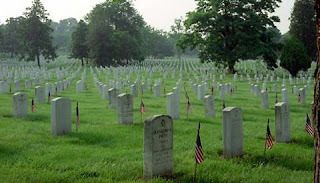 Uncover the interesting history of the holiday we now call Memorial Day. Discover little-known facts about America's Wars and stop by the Veterans Forum message boards to share your views with veterans, their loved ones and fellow history buffs. If you know a veteran or someone currently serving tell them you appreciate their service and say Thank You. If you see a sailor on the street this weekend, say Thanks to him or her as well. According to the MTA service advisory page, there will no Manhattan bound F service to Roosevelt Island this Memorial Day Weekend through 5 AM Tuesday. This will make for a crowded Roosevelt Island Tram this weekend particularly on Saturday afternoon after the Improv Everywhere MP3 Experiment event. The Mp3 Experiment 2.0 from ImprovEverywhere on Vimeo. Improv Everywhere causes scenes of chaos and joy in public places. Created in August of 2001 by Charlie Todd, Improv Everywhere has executed over 80 missions involving thousands of undercover agents. The group is based in New York City. Participants for the Roosevelt Island extravaganza are asked to download a MP3 File to their Ipod or other player, wear a red, blue, yellow or green T-shirt with a white T-shirt underneath and then at 4PM play the downloaded track and follow the instructions. Be advised that there will be no Manhattan Bound F trains operating from Roosevelt Island this weekend so expect very crowded Trams when leaving Roosevelt Island particularly after the MP3 Experiment.. There is a posting on the Craigslist jobs board dated 5/12 indicating that summer jobs for NYC students as grounds keepers and maintenance workers were available through RIOC. I did not see anything about this on the RIOC web site and was wondering if the summer job opportunities listing was accurate and still available? The posting on Craigslist is accurate, and yes, we still have positions available for both seasonal Grounds and Maint. workers.. The post will be up on our website soon. The Roosevelt Island Operating Corporation (RIOC) has summer job opportunities for NYC students. The minimum age requirement is 18 years. Positions will be available from May 15th through September 1st, 2009. I hope that the teens who created the Roosevelt Island Recession You Tube video apply for and get some of these summer jobs. Roosevelt Island Historical Society President Judy Berdy was quoted in recent Daily News article on the Queensboro Bridge Centennial. Life in the shadow of the Queensboro Bridge has inspired artists of Roosevelt Island, Queens and Manhattan for many years. An exhibition of contemporary photos, paintings, drawings, constructions and sculptures literally offers new perspectives of the bridge, in a celebration of the 100th anniversary of the Queensboro Bridge. The exhibition is jointly sponsored by The Roosevelt Island Visual Arts Association and The Roosevelt Island Historical Society. 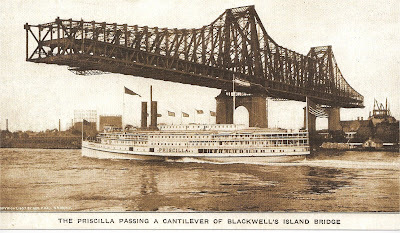 "The possibility of anchorages on what was called Blackwell's Island gave the Queensboro Bridge its cantilevered structure, which is different from the three Brooklyn-based suspension bridges," said Judith Berdy, President of the Roosevelt Island Historical Society. "Naturally, Roosevelt Island's residents see the bridge in a unique way." The exhibition is FREE and will run from Saturday, May 23 to Sunday, June 28. Hours are Wednesdays and Fridays 6:00 p.m. to 9:00 p.m. and Saturdays and Sundays 11:00 a.m. to 5:00 p.m. The Opening Reception on May 31 will be from 2:00 p.m. to 7:00 p.m. During the week of May 31 to June 7 the extended hours are: Monday, Tuesday and Thursday: 4:00 pm to 6:00 p.m.; Wednesday and Friday, 6:00 p.m. to 9:00 p.m.; Saturday and Sunday, 11:00 a.m. to 5:00 p.m. 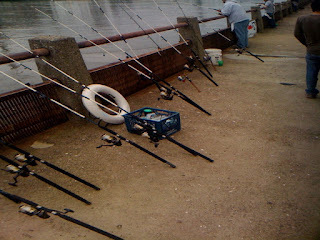 Please check the website www.rivaa.com or call 212-308-6630 for more information. An exhibition of photographs of the Queensboro Bridge trolleys and trolley memorabilia is on display at the nearby Visitor Center kiosk. You can almost hear the clang of the trolley bell when you look at the photos of the trolley cars on the Queensboro Bridge. In 1957, in anticipation of the last run of the trolley service, then-19-year old photographer Sid Kaplan took pictures of the Queensboro trolley, its drivers, passengers, entrance kiosks and, of course, the Queensboro Bridge and its environs. A selection of Kaplan's photographs, which have never been exhibited, will be displayed at the Roosevelt Island Visitor Center Kiosk on Roosevelt Island at the Tram Plaza in a special exhibition that coincides with the 100th anniversary of the Queensboro Bridge. Beginning in 1909, five trolley lines connected Queens to Manhattan, transporting residents from Astoria, Steinway, Corona, Flushing, College Point and Queens Boulevard across the Queensboro Bridge to Second Avenue at 59th Street. The trolley lines quickly registered impressive growth in ridership, eventually leading to the extension of the subway lines to Queens. Over time, competition with the subway later reduced the ridership, and several lines were shut down. The last trolley service in New York City, the Bridge Local service, which traveled from Manhattan to a station over Welfare Island and finally to Queens Plaza, ended in 1957. In addition to Kaplan's photographs, memorabilia of the trolley days will be displayed, along with videos of trolleys plying their routes. The exhibition is FREE and will run from Sunday, May 31 to Sunday, July 5. The Visitor Center is the only surviving and functioning kiosk of the five original kiosks. 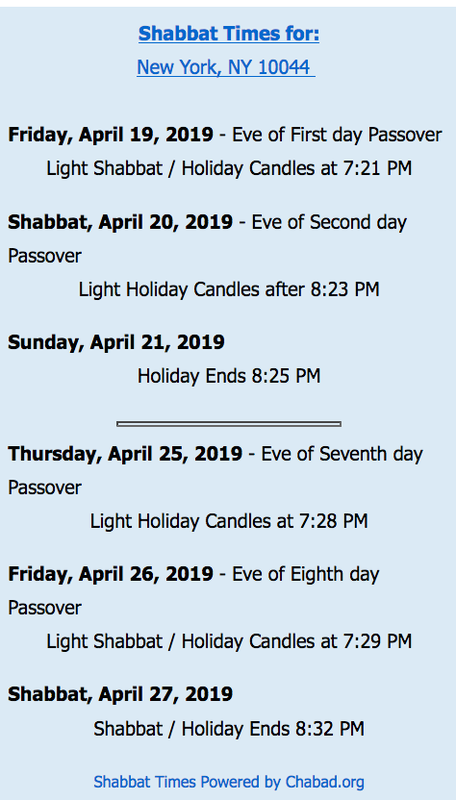 Its usual hours, 12 noon to 5:00 p.m., will be extended to 11:00 a.m. to 6:00 p.m. during the week of May 31 to June 7, in connection with other anniversary festivities. The Opening Reception on May 31 will be from 2:00 p.m. to 7:00 p.m. For more information, please contact Judith Berdy, President of the Roosevelt Island Historical Society, at 212-688-4836. An exhibition of artwork inspired by the Queensboro Bridge is on display at the nearby Gallery RIVAA at 527 Main Street, from Saturday, May 23 to Sunday, June 28. Here is a 1909 report on the safety of Blackwell's (Queensboro Bridge). The Commission concluded that Blackwell's Bridge was safe and it has been for the last 100 years. The NY Times Magazine section from March 15, 1908 has a fascinating article on the building of the cantilevered Blackwell's Island Bridge. Roosevelt Island Broadband Internet Access - Who Do You Prefer, Verizon FIOS Versus Time Warner Roadrunner? I received the following message seeking advice about high speed internet access on Roosevelt Island from a resident at 540 Main Street, also known as Roosevelt Landings, and formerly named Eastwood prior to it's purchase by Urban America. The reader is having problems with Time Warner high speed internet access during the evening and is wondering if anyone else is having similar issues. I'd like to know if my internet issues concern other people too. Since last fall I use a high speed internet connection (Time Warner) and have been satisfied so far. Last Friday (May 15th) internet was not available around 5 to 7 pm. Since then, every wek-day the same: Full access during the day, no access in the after school/after work hours. This is pretty inconvenient for my children whose school expects them to use the internet for homework. Does anybody know what's going on here? Before adressing Time Warner (maybe I'm biased, but I don't expect them to have a valuable customer service) I'd like to know more about the general situation on Roosevelt Island. I don't know about this particular situation but I changed internet providers over a year ago from Time Warner Roadrunner to Verizon FIOS and could not be happier. To date, absolutely no problems, reliable service and extremely fast loading times for web pages and wireless to my laptop works well also. If FIOS is available in your building, I would run, not walk, and switch internet service providers. Verizon FIOS is also providing television service in competition with Time Warner Cable Roadrunner system. I am told by Roosevelt Island residents who made the switch to FIOS TV that the picture is much better than Roadrunner's. I currently use Time Warner Cable but would love to make the change to FIOS. The only thing holding me back from doing that is I am a news junkie and think that NY1 does a terrific job with local news. Since NY 1 is not available yet on FIOS, (it is owned by Time Warner) I hesitate to change TV service providers. But I am considering it. 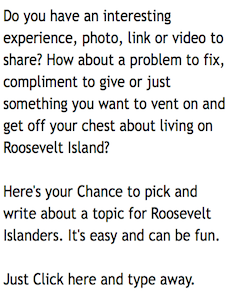 What's The Deal With Roosevelt Island? City Council Member Lappin Says It's A Hidden Gem! After informing the world what the deal is with the Roosevelt Island Tram, City Council Member Jessica Lappin explains what the deal is for all of Roosevelt Island. The bottom line from Ms. Lappin - Roosevelt Island's a hidden gem. More information is available at Mr. Kellner's blog and LIFT. Roosevelt Island Bikes Stored At Subway Rack For 24 Hours Are Legitimate, Others Will Be Tagged And Removed - Did This Start With RIRA Committee? We decided to put warning tags on this week. ......enforcement next week. Some bikes have already been tagged and are subject to removal next week. 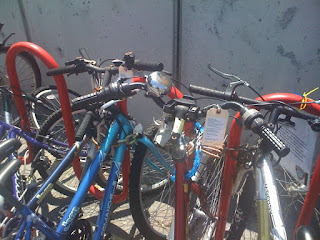 After ISC contacts with RIOC officials, RIOC has begun to remove bikes which have either been at the racks for too long or are abandoned (as evidenced by flat tires and/or rusted chains). If RIOC is aggressive on this issue, we should see more spots available for legitimate short-term (less than a day) storage of bikes. Of course, abandoned bikes should be removed but I don't know what makes bicycles stored for less than a day more "legitimate" than others. What is problematic is the no overnight parking of bikes. Commentators on Streetblog have so many good ideas how the RIOC could deal with abandoned bicycles. The standard protocol, from a quick google-around, is to affix a notice to a bike, wait a few days, then confiscate and hold for a week or more before disposal. 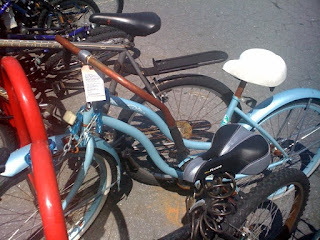 RI could offer bike registration, which would allow them to trace ownership in many cases and then they could send a notice to the owner as well as affix a notice. That would also allow a cyclist to notify the authorities when they plan to be out of town so that their bike is not considered abandoned while they are on vacation. The way chicago deals with orphaned bikes is if a neighbor reports an orphaned bike the city will securly tie a sign to the bike that says "move your bike within 3 weeks or we'll take it". Which is fair. Maybe some neighbors complained about seeing a lot of discarded bikes locked to racks and wanted the eye sore cleaned up. But talk about a HUGE overreaction. I agree with the 360 reader, can we also ban cars from parking on the street at night? That would improve my quality of life as a cyclist; I'd never have to worry about being doored on my early morning commute. As a car-light community I was surprised Roosevelt Island isn't oarticularly bike friendly. The 36th Avenue bridge doesn't allow cycling on the sidewalk and the roadway is a real danger to narrow tires. And the roadways leave much to be desired. Now the idea that cyclists can't use the bike racks overnight makes absolutely no sense. 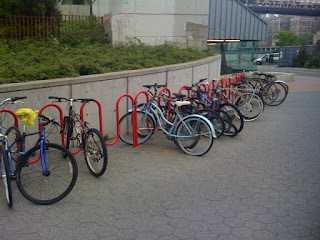 Why should Roosevelt Island cyclists have fewer rights than other cyclists throughout the city? This would seem like a prime environment for various forms of bicycle parking, from indoor garages to the various individual bike enclosures we've seen elsewhere, or even Bike Shelters. Read the full Streetsblog posts here and here. A reader suggested posting online the Main Street Retail Survey that was distributed in a recent issue of the Main Street WIRE. Just click on the images below, print out the two pages, fill them out and drop them off in the Survey box in your building lobby or at the Public Safety Office by May 22. The Real Estate Committee of the Roosevelt Island Board of Directors met last Tuesday and discussed issues regarding the proposed Master Lease for Main Street retail space as well as the situation concerning some of the retail tenants that are in arrears. RIOC has made the web cast of the meeting available. Will have much more on these issues soon. 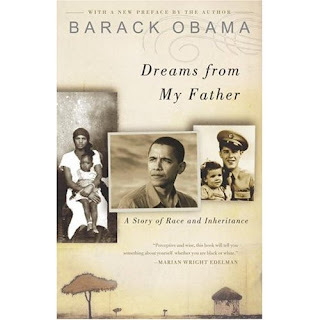 Have you read Barack Obama's Dreams From My Father? If so, you may want to participate in the Roosevelt Island Public Library Book Club's discussion of it tomorrow night, (Thursday May 21) at 6:30 PM. The library is located at 524 Main Street. Did you know that O'Bama is Irish on his mother's side of the family and that There's No One As Irish As Barack Obama? Congratulations to Ms. Smith and Mr. Shinozaki and thanks to Ms. Jackson and Mr. Edelman for participating in the process. 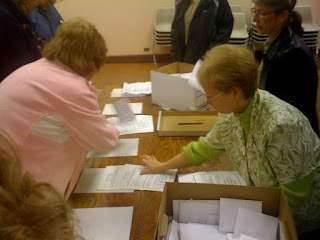 Note that there are more votes cast than total number of ballots because each ballot could vote for two candidates. Now let's get Ms. Smith and Mr. Shinozaki nominated and confirmed by the NY State Senate! Roosevelt Island Public Safety Director Keith Guerra sends the following message to the Roosevelt Island community. 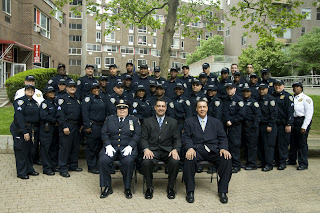 Every year members in Law Enforcement celebrate National Police Week. This is a time to reflect on the year in Law Enforcement gone by. Officers who have passed away are relished and those who have accomplished are honored. On Saturday, May 16th, the Roosevelt Island Public Safety Department paid tribute to their officers with a Commendation/Promotion Ceremony. Officers Malone and Clemente were officially promoted to Detective. Several other officers were brandished with Commendation Awards. Officer Forde was specifically honored for 20 years of Service to the residents of Roosevelt Island. The Dais was filled with dignitaries from the 19th Precinct, the 114th Precinct, Coler-Goldwater Hospital, the RIRA Public Safety Committee and RIOC. All in all , a good time was had by all who attended. The election to nominate 2 resident candidates for the Roosevelt Island Board of Directors is taking place today. The Main Street WIRE has all the information below on where to vote and why it is important to have Roosevelt Island residents as RIOC Directors. 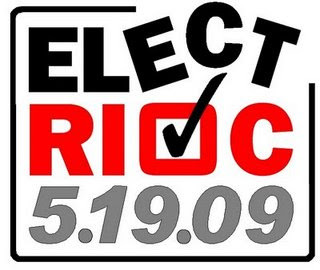 The polls are open until 9:00 p.m. tonight (Tuesday, May 19) in Roosevelt Islanders' voting to nominate two residents to the Board of Directors of the Roosevelt Island Operating Corporation (RIOC). Statements by the candidates are available in the most recent issue of The Main Street WIRE, on line at http://nyc10044.com/wire/2917/wire2917.pdf (allow extra time for loading). An editorial from the May 16 WIRE, on why it is important to vote in this election, is reproduced below. The WIRE editorializes on the importance of this election and your voting which I wholeheartedly agree with. Yes. Here we go again. This time, The WIRE’s appeal that you vote on Tuesday is even more critical than usual. That’s because this time, there is no simultaneous city, state, or federal election – not even a primary – to move voters to the polls. That means the vote on Tuesday, in which we residents will select our community nominees to the RIOC Board of Directors, is a pure test of the local governance question. Do the residents of Roosevelt Island really want a measure of democracy on the body that runs Roosevelt Island and makes development decisions here? We believe the necessary answer is yes. We believe that answer is necessary because since this community’s founding as a residential entity, ordinary residents have had no direct democratic voice in its development, administration, or day-to-day operations. Over the years, jobs at RIOC, including its presidency, have too often been doled out to political hangers-on to whom the state administration has owed something. No reflection on current RIOC President Steve Shane, but during the Pataki years, you can imagine the conversations between the governor and Republican kingmaker Al D’Amato: Well, we’ve got to give something to Jerry Blue. He knows too much and he’s been a faithful servant of our personal needs. Sure, he’s barely competent as an administrator, but we’ve got to give him something... What about Roosevelt Island? He can’t do much damage there, can he? And what the hell – everybody there votes for Democrats, anyway. Screw them. So the system is bad... A system in which incompetence and venality had to be rewarded with salaries near and above $100,000 a year. Democracy is an imperfect cure for this sort of thing, but it sure as hell works better than just about anything else invented by humankind. Tuesday’s election is terribly indirect. We choose, then the powers-that-be, notably the governor, get to say yes or no to our choices. But a strong turnout in this "pure" election will send a powerful message that Roosevelt Islanders want more local control – a greater ability to reward or punish at the polls. A greater ability to approve or disapprove of the way Roosevelt Island is run and – lest we forget – developed. So: Yes. This is another boring appeal that you vote. But this time, you can do so knowing that because the numbers will very likely be small by comparison to any other election ever held here, your one vote will measurably emphasize the need for greater local control here. Please. Please vote on Tuesday. 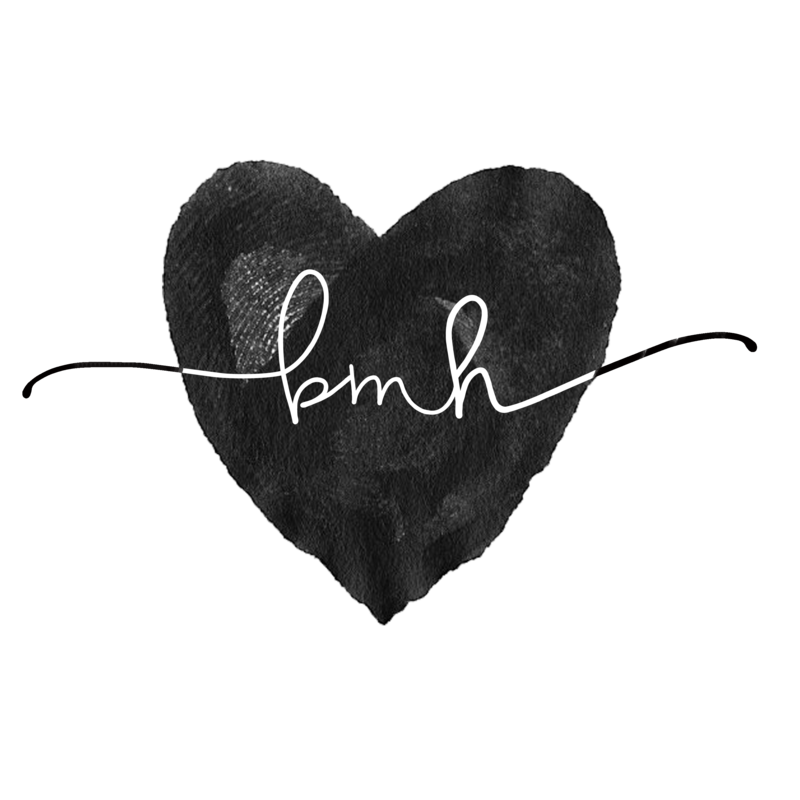 I plan on voting for Margie Smith and Michael Shinozaki. In my opinion they both have the most knowledge concerning Roosevelt Island issues and experience to oversee a Public Benefit Corporation such as RIOC. Even though I will be voting for others, I wish to thank Mr. Edelman and Ms. Jackson for their willingness to participate in the process and serve the Roosevelt Island community. A reader forwards the following message sent from the Roosevelt Island's Child School to parents of their students concerning one confirmed case H1N1 Swine Flu found at the Child School. This morning, we received word that there has been one confirmed case of the H1N1 Swine Flu virus at The Child School. We have personally contacted all parents of the students whose children share the same classroom and bus as this upper elementary school youngster. We have contacted the Department of Health as well as the Department of Education, the TCS Steering Committee and Board of Directors for their guidance on this matter. At this writing, we have yet to receive any official word with respect to how we should formally respond to this development. The health and well being of our students, staff and families is our foremost concern. As a precaution, we have requested that the Office of Pupil Transportation (OPT) thoroughly disinfect BUS 738, the bus that this particular youngster takes to and from school, prior to any of our students re-embarking on this bus. The classrooms of the students on this bus have been disinfected as well. However, please keep in mind that all of the students at The Child School travel throughout our campus on a daily basis. Therefore, it is in our best interests to make certain that the entire Child School campus receive the same thorough disinfecting. In order to facilitate a complete disinfecting process at The Child School, we will be closed Tuesday, May 19th and Wednesday, May 20th. We will reopen on Thursday, May 21st. However, if we are unable to open on May 21st, please call or visit our website for updated information after 3:00 p.m. on Wednesday May 20th. Our website is www.thechildschool.org. The phone numbers are: 212-223-5055, 212-223-5482 or 212-223-5057. It is imperative that parents use serious discretion when considering sending a sick child to school on or after May 21st, 2009. Please do not send your child to school if s/he is experiencing flu-like symptoms, including fever (over 100 degrees F) and cough or sore throat, runny nose, muscle pain and fatigue. Additionally, if you suspect your child is getting the flu, it is essential that s/he does not go anywhere else - such as child care, play dates, or sporting events - where others could potentially be exposed. Parents MUST e-mail Lalig at tcslegacy@aol.com if there are any further confirmed cases of the H1N1 virus. Because of this situation we are also choosing to postpone our Film Festival until a later date. We apologize for any inconvenience this may cause. Again, the health and well being of our students, staff and families is our foremost concern. Several weeks ago, I asked Roosevelt Island Doctors Grimm and Resnick if they had any advice for Roosevelt Island residents on how to avoid catching this virus. Here's what they said. Happy Birthday To The Roosevelt Island Tram. View The New Cabin Design And Special Features - Glass Bottom Floor Anyone? Hey, remember the time we were stuck up there overnight - what a hoot. 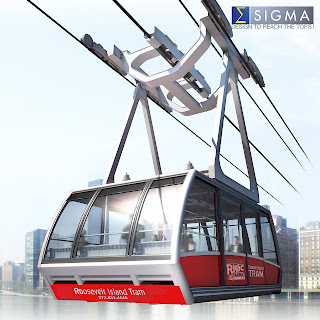 RIOC has also released the latest version of the new Roosevelt Island Tram Cabin design. What do you think? What's not shown in the picture above is RIOC's plan for a Roosevelt Island Tram Cabin Floor Spectacular. 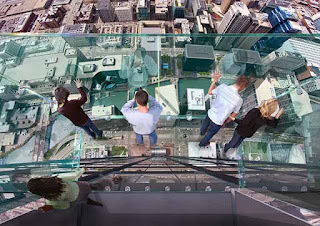 In an attempt to capture more of the thrill seeking tourist market, RIOC is taking a page out of the Sears Tower Skydeck and Grand Canyon Skywalk marketing handbook by designing a see through glass bottom floor for the Roosevelt Island Tram so that passengers can look directly down below their feet and see the Manhattan streets and East River as they soar high above on the Tram. Imagine that! Now that would make a Great Story but that's all it is. I'm just kidding about the glass bottom Tram Cabin Floor. Probably just an old banner being used. Typical for RIOC, there has been no vote, quorum, consensus. A few complaints, someone makes a decision, and the safety force spreads the news in an ungrammatical laminated note dangling from a plastic twistee. Have you given it any thought?? How about the people commuting into the island who leave the bike overnight at the subway? Should the safety patrol take possession of bikes during the b(n)ight instead of keeping the island safe? Also, declaring a rule on Saturday for Monday is the most crazy implementation of any rule in an municipality. Nobody has time to move or sell their bike. Ticket bikes that violate the clearing rule and then remove them at the next clearing. The RIOC solution to the problem of unsightly (abandoned) bikes is absurd. Less bikes means more cars. These bikes are a solution to another problem – pollution, crowding, fuel usage. Amsterdam has accommodated thousands of bicyclists for hundreds of years without a moronic governmental response. These rules are making people less environmentally conscious, less likely to buy things at your stores on the island, less likely to visit overnight , less likely to move here, and more likely to use their cars. Buildings are all going to have to clean up the mess of bringing bikes into the buildings during the winter. That is also quality of life. Of course, we will all see the delivery bikes all over the subway area despite this new rule. The bike rule will be as selectively implemented as the parking rule that allows certain people to park their cars right in front of Manhattan Park, RIOC’s office and the hospitals. Is it so hard to just remove the bikes that seem to be abandoned? I think not. Also, my bike is a clunker and not a pretty sight but I used it daily. Because the way my bike looks like it needs to be removed? What if I was driving a clunker of a *car*? Would I be allowed to park it on the streets? In other Roosevelt Island bicycle news, RIOC Director Jonathan Kalkin reported during the May 13 Operations Committee Meeting (web cast here) that he is actively seeking a vendor to establish a bike sharing program for Roosevelt Island. For those interested in more information on Bicycle Sharing, the NYC Department of Planning released a very comprehensive report on issue this spring. Here's how Washington DC's Smart Bike sharing program works and the recently established Montreal Bixi Bike Sharing Program - the largest in North America. As an aside, Montreal is a beautiful City and one of my favorites to visit. If you are looking for a quick weekend vacation from NYC - it's a great place to go. 1. Board of Directors: Meeting of May 14, 2009 with a Town Hall meeting following. Mr. Howard Polivy’s appointment by the Governor and Senate confirmation completed. Mr. Polivy will occupy the seat that was held by Michael Shinozaki. With Charlee Miller’s announced intention to retire from the Board at the end of her appointed term in June, new nominees will be needed. RIRA’s election on May 19 should produce candidates. (A) Renwick Ruins: Stabilization work is complete and the entrances to the building will be boarded up to secure the interior and prevent trespassing. (B) Green Rooms/Wild Gardens: The contractor has started rough grading, paths and stone walls. Phase 2 will be the finish grading and capping of the site, utilities, fencing and planting. (C) FDR Memorial: FERI is working on engineering and permitting with DEC, Army Corp. of Engineers, Coastguard, etc. FERI has delivered its Environmental Analysis to RIOC as lead agency and our consultants are reviewing for completeness as part of the SEQRA process. As soon as it is in final form, it will be published to the community and we would like to schedule a public meeting for May 27, 2009 at 7PM at Good Shepherd for the FERI group to present their project and answer questions. If all the deliverables required under the Conditional Designation Agreement are in hand, the Board could make its final determination at the June 25th meeting. RIOC has been in consultation with the State’s Division of the Budget and Parks Department to work out funding mechanics for the $4 million State appropriation to RIOC, conditioned on a matching $4 million from the City and at least $8 million from FERI as necessary to complete phase 1. After the permitting process, much remains to be resolved, including coordination of funding and supervision among State Parks, NYC Parks, RIOC and FERI during both development and thereafter, before bringing the project back to the Board. 3. 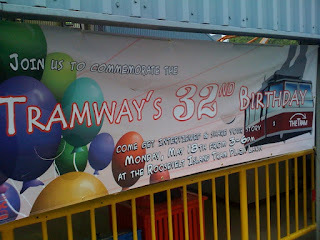 Tram: The birthday of the Tram will be celebrated on Monday afternoon, May 18th from 3-6. Cake will be served and a videographer will interview residents for Tram stories. On schedule for a July 6, 2009 shutdown and December reopening, although the Contractor, POMA, may request a shift in the window of closure to accommodate redesign changes in the structural elements. Work is underway on design and fabrication. Spools of cable are soon to be shipped from Europe. Final details of cabin design are being completed. Scheduling of tower reinforcing and top replacement, cable pulling, street and park closures, crane locations, etc. with permitting for everything is ongoing. Met again with Community Board 8 on May 5. CB 8 will be holding its meeting on the Island at Good Shepherd at 6:30. Architectural work for Tram stations is proceeding. A preliminary sketch of the Manhattan station is posted. Studies of present day code requirements (ADA, fire, electrical, lighting, access & egress, communications, security, HVAC and sprinklers for sub-grade rooms, wind, rain and snow barriers, etc.) as applied to both stations is in the works. 4. Subway: MTA has put out notices that due to emergency track work, trains will be slowed down, reducing the rush hour schedule by two trains, increasing the degree of difficulty when the tram will be out of service from July 6 to mid December. Despite our questioning, there is apparently no good answer to the inconvenience and discomfort. 5. Projects: Work is ongoing to replace the exterior of the AVAC building, install replacement chambers for AVAC, lighting at Motorgate, repave portions of Main Street, replace the façade at Sportspark and make improvements to PSD. Public Safety has temporarily relocated to 504 Main Street while the work is being done. The Board agenda will include replacing the HVAC system for Good Shepherd, AVAC exterior, fire alarm system at Sportspark, swimming pool resurfacing, and architects for the new Tram Park. 6. Bank: RIOC has received no response to its letter in answer to the notice from NYNB that it intends to close its branch at 615 Main Street on June 6, 2009. We have met with Amalgamated and supplied a letter of support for application to the State Banking Department to allow Amalgamated to open a branch. All signs seem positive. 7. Southtown Buildings 5 and 6 moving toward completion. Landscaping being done and interior finishes and fixtures being installed. The roadway in front of the Tram is scheduled for paving and the fountain in the turnaround will follow. 8. The Mobile Van for Free Mammograms will be making a return visit on May 30th. If interested in scheduling an appointment, call Erica Wilder at our office (212) 832-4540. 9. Blackwell Park Playground: In response to the request of some parents, we have emphasized the purpose of the tot playground by increased Public Safety presence to discourage older people from hanging out at the area. No adults unaccompanied by an age appropriate youngster will be permitted. 10. Bicycles: To clear what is becoming an increasing problem, the bike rack at the subway station will have notices posted that leaving bikes overnight will not be permitted. After 2AM and before 5AM, Public Safety will remove bikes to increase availability for those who utilize the space as intended. If not reclaimed at Public Safety within 24 hours, the bikes will be donated. 11. July 4 Fireworks: With the City’s decision to celebrate the 400th anniversary of Henry Hudson’s sail by moving the fireworks to the Hudson, RIOC’s annual July 4th fireworks watching is not going to happen. We are, however, asked to host the fireworks to accompany the 100th birthday of the Queensboro Bridge to be on the evening of May 31. Stay tuned for further details. 12. Health & Fitness Day this Saturday, May 16. Commendation Ceremony for Public Safety Officers at 11:30 at the 591 plaza. Basketball and ping pong tournaments, games and exhibitions to follow. Everyone come out for the afternoon of fun. 13. Public Safety: Director Keith Guerra, Deputy Director Rene Bryan and Captain Estrella Suarez have all completed the FBI course in Major Incident Management as sponsored by the New York Office Police Training Program. Congrats to them. 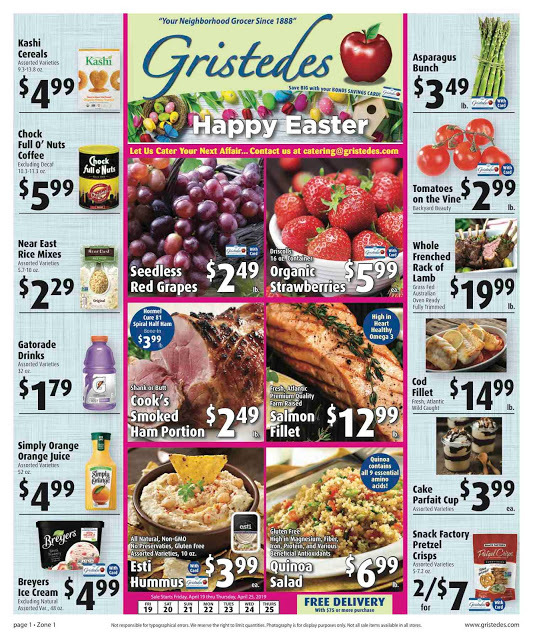 During Health & Fitness Day, PSD will be sponsoring a child seat safety inspection at the Gristede’s turnaround. Bring your car and child seat. If you do not have one, they will be available without charge, but a donation would be appreciated. 14. Red Bus: Having been studied by the Columbia and Hunter students, and being the continuing source of complaint from some Island residents, RIOC has agreed with RIRA to try an experiment in scheduling to see whether there is an improvement in service. We met with Frank Farance and “discussed” the issues of Main Street and how to better serve the public. We are going to try, during the week of May 18 to 22 to schedule the three red buses on the route from approximately 10 to 11:30 so as to leave the Octagon at 9:55, 10:10, 10:25, 10:40, 10:55, 11:10 and 11:25. Each bus will wait at the Tram to pick up the passengers and return northbound. A 45 minute loop is built in to account for unpredictable event along the way. Predictability should be enhanced, although waiting times may suffer as the buses will be held out of service to meet the schedule. 15. Octagon Field Rest room facilities: Because of the cut in the sewer line at the water tunnel, the facility is out of service. The recently installed facility at the north end of the Goldwater parking lot may be used and a portasan will be in place until the repair work is completed (requiring coordination between DEP and the Octagon). Sorry for the inconvenience. This message was also published as the RIOC column in the 5/16/09 Main Street WIRE. 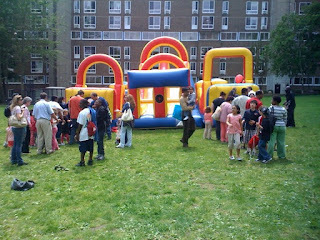 Yesterday was Roosevelt Island Fitness Day. 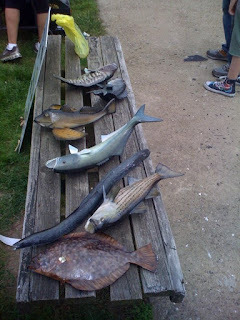 There were many different activities and fun for those who participated or just watched. plus other fun events. 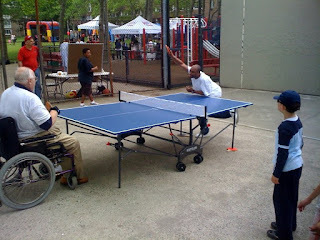 A new Roosevelt Island resident was kind enough to send these photos taken at Health & Fitness Day.